Says cat (sounds like haT), all done (aw duh), and maybe shoe (sooh) and dog (daw). Still messes around with da, ma, and ba in various combinations. Sits up in her bed, which sometimes might make it tricky to go back to sleep. Almost always chooses the forward movement of commando crawling over rolling. Mid month,she went from pushing with just her right leg to using both much more symmetrically. Sometimes all fours crawls. In prepping for all fours crawling, does a lot of spiderman stretching and rocking back to a seat. Has started to reach up for things (the Christmas tree, coffee table, straps hanging off her high chair, etc.) sometimes from her knees. Can sort of climb small obstacles like our legs and the cat scratcher. Able to eat pieces of crackers and whole cheerios (these are the driest foods she’s tried). Tried water in a sippy cup at the beach house we stayed at after Christmas and loved the cup (as opposed to the open cups and other sippy/straw cups she’d tried before). Luckily it was the cheap-o kind from the grocery store. Enjoyed eating paper at Christmas time and loved the gifts—especially the books! Kind of dances/bobs around to music or singing while sitting in her high chair/on the floor or while being held by us. Kind of sings along with us when we sing and imitates other sounds that we make like coughing or emphatic talking. I was looking back, and I don’t think I wrote anything about my intention word for 2016. It was presence, which turned out to be absolutely perfect for the first year or so of parenting. I did my best to be present with all the changes that having a third human in our family brought to relationships and my concept of myself, and I’m thankful that I had this intention word to reflect on this past year. For 2017, I’ve chosen the word thrive. I love the idea of continuing to be present with everything I experience, and I think thrive could be the next step in this mindful awareness and enjoyment of my life. I also want to continue to support Plum and Andrew to thrive, as I explore ways to feel and be more wholly myself. I’m still thinking through whether I want to take specific steps or implement particular practices to support the realization of this intention, but I’m sure everything will become more clear as the year unfolds. P.S. 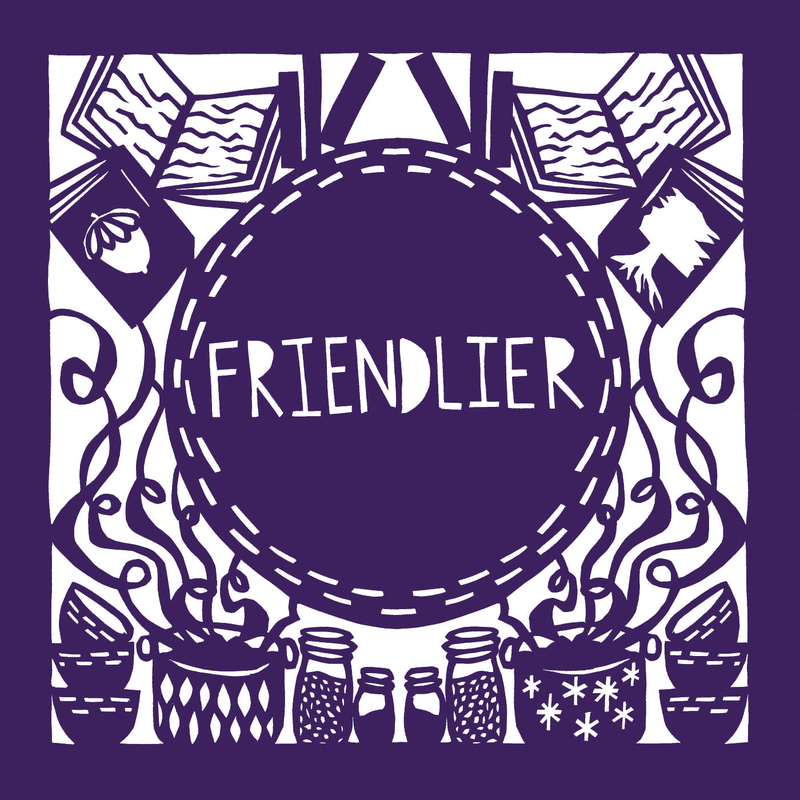 Sarah & I talk all about intentions for the new year in this week’s episode of Friendlier, which came out today! Goes from horizontal to sitting up on her own! It is shocking and amazing to look down and see my baby sitting up when she wasn’t just a moment before. Still rolls most places, but now combines rolling with army crawling. I love how much she hurries when she sees something she wants. Still eats everything. New this month: chicken noodle soup, turkey, cranberry sauce, mashed potatoes, cornbread stuffing. Laughs delightedly and often. Grins hugely when she sees family members, especially the pets. Loves to interact with all people (at the fabric store, grocery store, etc.) and especially loves other babies. I hold my phone as if to take a photo and she turns on the cheese immediately. Can turn board book pages if I first lift the page up and then ask if she’d like to turn the page.